HomeBlogUncategorizedHow Can You Tell if Your Water is Safe to Drink? How Can You Tell if Your Water is Safe to Drink? Whether we’re drinking it, cooking with it, bathing in it or washing our clothes or dishes in it, clean water is essential for our health and well-being. This is why water quality is essential to our lives. Poor water quality can be detrimental to your health. Various bacteria and other organisms such as algae can cause stomach and intestinal illnesses, rashes, liver illnesses or even cause neurological issues. Chemicals like nitrates found in pesticides can cause serious illness or even death in children. Heavy metals like lead and mercury can be toxic in high concentrations and other chemical can affect development or even cause cancer. At the same time, good water quality will affect health positively. 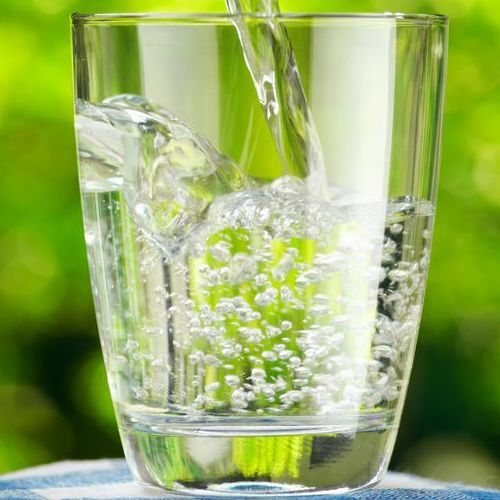 Besides being used for drinking, cooking and cleaning, high quality water may contain higher concentrations of minerals like calcium and magnesium that we need for optimum health and nutrition. While there are national standards that regulate water quality, you can also improve water quality in your home with a water purification system. Sunset West Plumbing & Rooter Inc. provides high-quality water filtration systems in West Los Angeles, CA. Water quality can also be improved when you improve the air quality in your home. To improve air quality in your home, you can have it tested. Why do people test the quality of water? Health and safety are the primary reasons people test water quality. Even if it appears clear, your water could have contaminants in it like coliform bacteria in it that can make you sick. Water can also have unsafe levels of chemicals like nitrates found in pesticides or metals like lead which can lead to illness. How do you test the quality of your water? You can test your water quality with a home water quality test kit. Make sure the test kit has test strips for bacteria, lead, pesticides, nitrites and nitrates, chlorine and pH. Each strip will have directions on how to use it and read the results. With most kits, you dip the individual strips in a glass of room-temperature water and hold it in for a set amount of time. The strips will change color depending upon what’s in the water and at what levels an element is present. 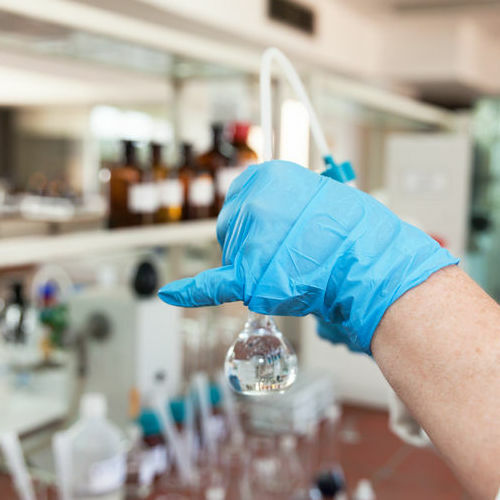 Hazardous results should be retested to confirm and the follow-up results should be reported to the agency that handles water quality in your city. Some tests can be done by smell, taste and sight. Particular odors like a rotten-egg, musty or bleach smell may indicate contaminants and poor water quality. Similarly, foul-tasting water may have contaminants. If it tastes really terrible, spit it out. Water with low pH or high concentrations of minerals may have a metallic taste to it, whereas a salty taste may indicate chlorides or sulfates possibly caused by industrial wastes or irrigation drainage. Report foul tasting water to your city or to the Environmental Protection Agency. If your water appears cloudy or has visible particles in it, you may have poor water quality. Brown or red particles could be rust from pipes, while black particles may come from hoses. White or tan particles usually indicates high amounts of calcium carbonate or magnesium carbonate. Brown, murky discolored water could indicate pollution, rusty pipes or a new water source. Any problems should be reported to proper authorities. You can also check with your city, which must provide an annual water quality report. The report should be online and available from the city. Water companies can also provide you with the information. You can also get reports from the National Drinking Water Database. County health departments or a state certified laboratory may be able to help you test your water. Most tests will be for bacteria like coliform and for nitrates. To find an agency that tests water call the Safe Drinking Water Hotline at 800-426-4791 or visit www.epa.gov/safewater/labs. What are the factors to check the quality of water? Water quality is determined by the presence or absence of a variety of factors. Among the factors that affect water quality are sedimentation and runoff, dissolved oxygen and pH, as well as temperature. Your water can also be affected by decayed organic material, pesticides, toxic or hazardous substances, oil, grease and other chemicals, as well as detergents and litter. Good water quality will mean the water you drink, bathe and wash your clothes and dishes in will be free of contaminants such as chlorine, fluoride and metals like mercury and lead, as well as free of harmful bacteria. Good water will have essential minerals such as calcium, magnesium, sodium and potassium needed for health, and have balanced pH so it won’t be too acidic or have too many alkalines. For good quality water, the water must be treated and tested for safety. With public systems within cities the water must be made potable or safe to drink, as well as palatable or pleasant to taste. Treatment facilities are tasked with the responsibility of making the water safe for consumption. Those using private sources like wells are responsible for making sure their water is clean for their consumption. Both public and private water supplies should be tested regularly to make sure the water quality is at an optimum. Want to improve water quality in your home? Try a water filtration system installation in West Los Angeles, CA from Sunset West Plumbing & Rooter Inc.. Call us today at __PHONE__. Posted in Uncategorized on April 15, 2019 at 7:51 pm by Sunset West Plumbing & Rooter. ← What Do You Do When Your Toilet Won’t Stop Running?